Huawei Brand Honor has launched Honor 8X and Honor 8x Max on Wednesday. Honor 8 Max is made of back panel glass. thin bezel display and two rear cameras. The waterdrop Notch display, TUV Rheinland-certified blue light protection. Both smartphones are equipped with Artificial Intelligence features. Portrait Mode, AR Stickers, HDR, and Super Night Scene. Honor 8X Max will have Dolby Atmos sound and stereo speakers. Honor 8X Max Price starts at 1,499 Chinese Yuan (approx Rs. 15,700) for the 64GB variants. 128 GB variants price starts at 1,799 Chinese yuan (about Rs. 19,000). 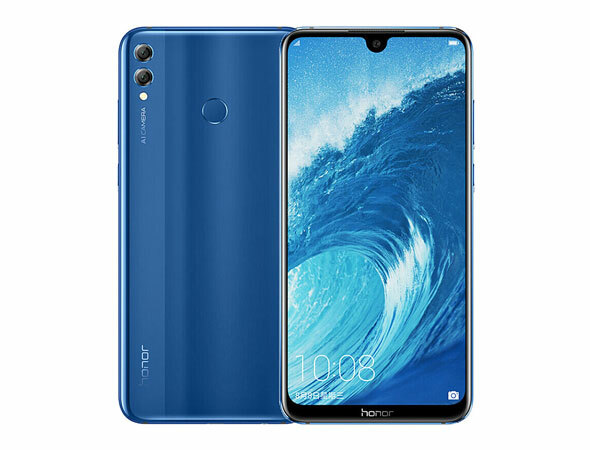 The Dual-SIM (Nano) Honor 8X Max runs on Android 8.1 Oreo-based on the EMUI 8.2.0. it sports a 7.12 inch Full HD + (1080x2244 pixels) TFT IPS display. Its aspect ratio is 19.5:9. Honor 8X Max has 4GB RAM with 64GB inbuilt storage. its powered by Qualcomm Snapdragon 636 processor. Honor 8X Max has a dual rear camera setup, the primary camera is of 16 megapixels, whose aperture is F / 1.8. The secondary camera is 2 megapixels, whose aperture F / 2.4. Honor 8X Max has an 8-megapixel front camera. there are two storage options - 64 GB and 128 GB you can increase storage via MicroSD card. connectivity, including WiFi 802.11 AC, Bluetooth version 4.2, GPS / A-GPS, Micro-USB. the battery of Honor 8X Max is 5,000 mAh.